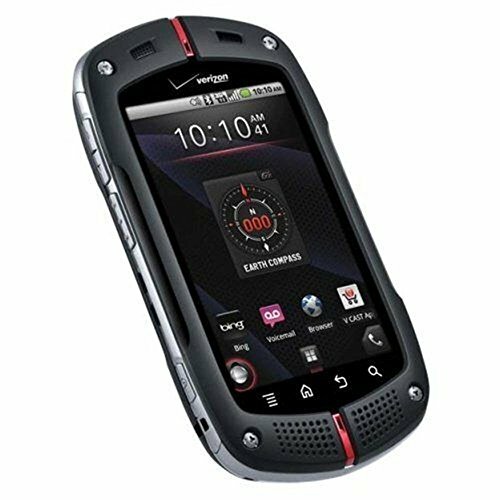 The Casio G'zOne Commando Android smartphone is notable for its highly durable and waterproof design. This device adheres to MIL-STD 810G for immersion, rain, shock and dust resistant, vibration, salt fog and humidity among others. This device also features a compass, thermometer, pedometer, a high-resolution touch display, and extra-loud speaker. Other notable features include a 5-megapixel camera, WiFi with mobile hotspot, EVDO 3G data, turn-by-turn GPS navigation, and a memory card slot. The Commando also offers access to thousands of apps, games, movies, and music available on Google's Play Store.